Hello from The Irish Toffees! To those that have just joined welcome aboard! If you are due to renew or are thinking of joining please check out our website www.irish-toffees.com (more details below also). 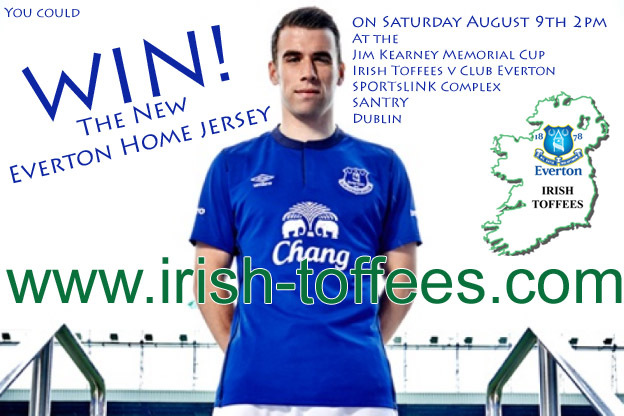 Irish Toffees v Club Everton this Saturday 9th Aug plus Crossbar Challenge! 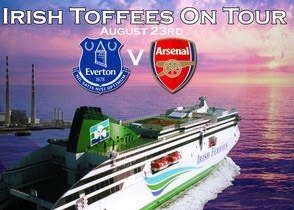 Irish Toffees On Tour v Arsenal August 23rd is sold out. 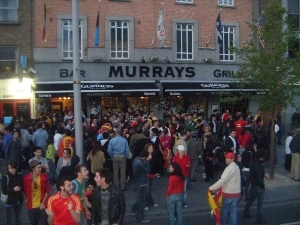 A get together for watching the opening match of the season August 16th against Leicester in Dublin. For match tickets contact bookings@irish-toffees.com or ring 086 3837866. 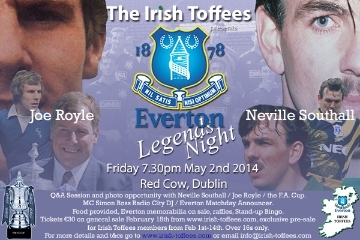 Recent interviews with Neville Southall & Joe Royle. Welcome to all our new members, and thanks to all those who have renewed! 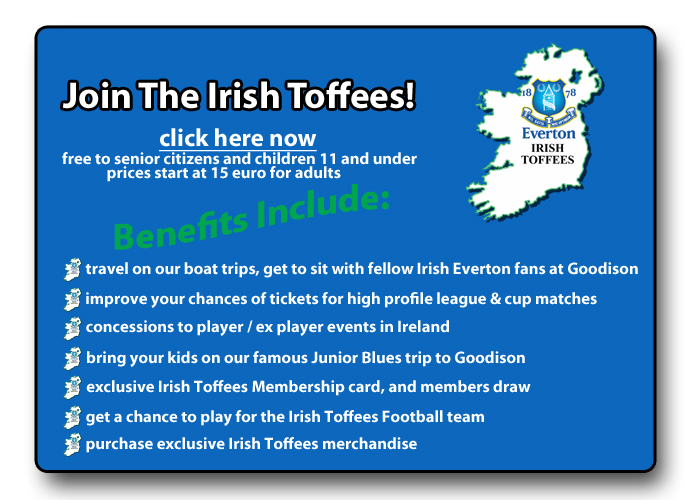 Check out details about the benefits of joining the Irish Toffees here. We are officially affiliated with Everton, and are a not-for-profit club, where all money is put back into the club and community to organise events such as ex-player events, subsidised coach/boat trips etc. 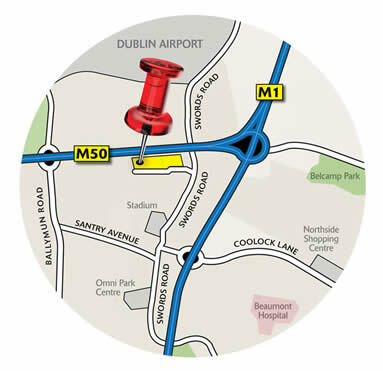 Have a look around our website www.irish-toffees.com to see all the things we do. 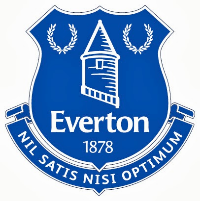 The Irish Toffees football team takes on Club Everton on Saturday 9th August, kick-off 2pm in the Jim Kearney Memorial Cup at the Sportslink Complex in Santry, Dublin. All are welcome to attend. Irish Toffees members can play the Crossbar Challenge at half-time with prizes up for grabs including the new Everton home jersey, and they can also avail of the impressive Sportslink swimming pool, more details below and here. Sportslink have kindly agreed to allow Irish Toffees members attending the Jim Kearney Memorial match access to their family swimming pool at 5 euro per person. Pictured opposite it has water slides, lazy river and water geyser. You must contact us before 4pm on Friday if you wish to use these facilities (bring your own swimming cap). More details here. The Irish Toffees On Tour first trip of the season was sold out within a few days! It is against Arsenal on August 23rd and is Everton's first home game of the season. Best of luck to all those travelling. More details can be found here. If you would like to travel on our next trip, make sure to contact us as soon as possible once our trips are advertised. As always please email bookings@irish-toffees.com in the first instance or ring 086 EVERTON (086 3837866) if you wish to book tickets to see Everton play. You are supporting your club this way, and we have more strength in numbers when dealing with Everton when receiving tickets for high profile matches, player events in Ireland etc. Please email info@irish-toffees.com with any questions or queries, or check out our website www.irish-toffees.com, thanks! Many thanks to all those who attended our Legends Night in the Red Cow in May, where we were entertained by Joe Royle & Neville Southall! It was a fantastic night. You can read interviews with the two legends on our website here. Nights like this would not be possible if it wasn't for our members, so thanks for the support. If you would like more nights like this please join The Irish Toffees!